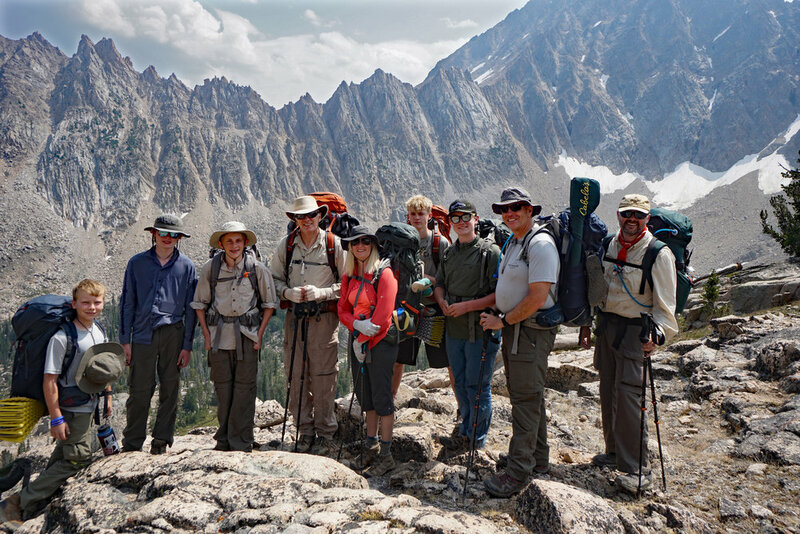 I had done a couple of backpacks which circumnavigated Castle Peak in years past, and Troop 100 was headed for the same route in 2018, but in reverse direction. I was thrilled to get in a conditioning hike before my trip of the John Muir Trail later in the summer. Our destination for the first day was Born Lakes, which I thought was a fairly easy hike, but man was I glad to get that pack off when we got to camp! 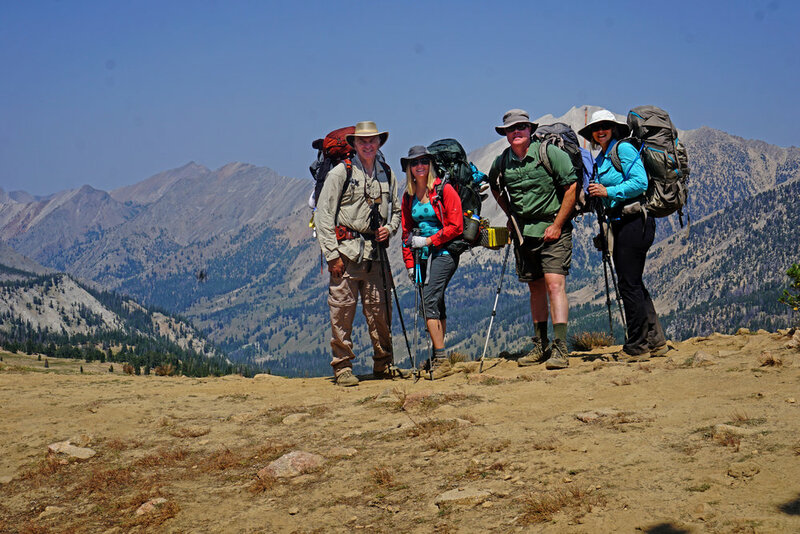 First we headed up to 4th of July Lake, then over the divide overlooking Ants Basin, then a few more miles to Born Lakes. The next day we headed for the cross country pass to Four Lakes Basin. This trail is much easier than the dreaded Devil’s Staircase. Its not a walk in the park, because it results in more miles, a short cliff scramble, and a descent of talus slopes to Quiet Lake. We hiked past Quiet lake by a cross country route, and headed for Windy Devil gap. I got to Scree Lake with our trip leader, Josh Lunn. I was becoming run down, which is not good for a diabetic, so I opted to stay at Scree Lake while Josh went on to rejoin the main group heading to Windy Devil. Scott MacIntosh and Bob Hunter joined me at that lake, and Scott caught a few trout like the one above. The next morning I headed for Windy Devil and the lake on the other side, Hummock Lake. Scott and Bob had to cut their trip short, and headed for the Devil’s Staircase, and headed down and out by that route.The picture below is Laura Shaver when we went down the Devil’s Staircase last year, 2017. It was definitely tough. I arrived at Hummock Lake before the group had broken camp, and together we headed to around Castle Peak to quiet Baker Lake for the night, shown below. The next day we headed over Castle Divide on the east shoulder of Castle Peak, for Chamberlinn Lake. I got to the lake first, and sat down, snacked, and waited. 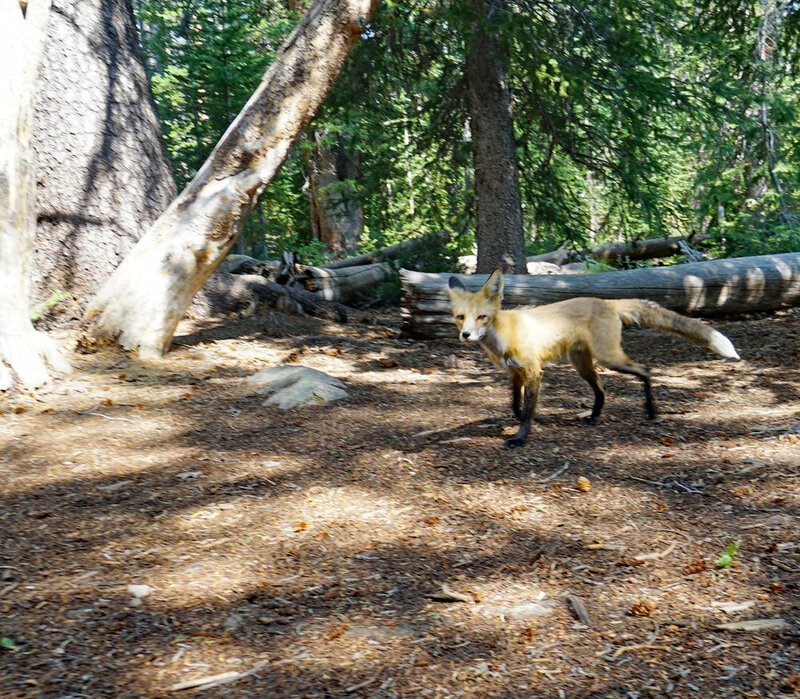 I was surprised when a fox trotted 10’ from me, and we both saw each other at the same time. I went for my camera, and he hesitated a second, then he trotted off. I got a picture of him, but it was hurried.